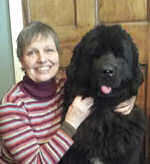 Pat has had a life-long involvement with Newfoundlands and whilst new to the role as our Welfare Officer she is hugely experienced in the breed. The Club is very grateful to Pat for filling this difficult and demanding role. Always happy to help and respond to enquiries from potential new newfie owners, Diana acts as a 'matchmaker' between members who have puppies available and people who would like a puppy. As a Newfoundland owner for more than 30 years and former breeder, Diana is excellently qualified to help with buying advice and any other questions or worries you may have about obtaining a newfie puppy. Chris & Jerry had their first Newfoundland in 1987. Two Labradors, three Miniature Schnauzers and a re-home Tibetan Terrier have also been "family members" together with four other Newfies over the years. Jerry, a retired telecoms manager, has amatuer radio and photography as hobbies and is currently deputy regional manager for the Radio Society of Great Britain. Chris, a member of the local dog club since 1956, was Treasurer for sixteen years and is currently President of the Guernsey Kennel Club and has also been Show Manager. She is a member of the KC. Chris & Jerry say that the health and welfare of the breed is closest to their hearts. Sara has supported the Southern Newfoundland Club since its inception and has previously been owned by two Newfoundlands - Ffion and Kayleigh. 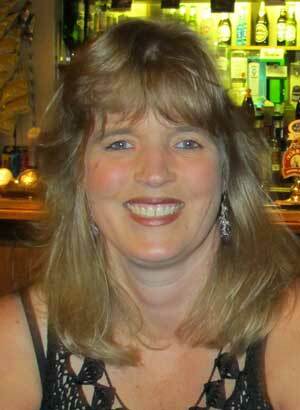 She has tried her hand at all aspects of Newf challenge including showing, draught and water work and is very keen to maintain the high standards of the Newf News magazine ensuring it reflects the interests of club members and everything Newf related. Paul works in the Internet industry and is kept busy looking after the SNC web site. He does his best to keep us up-to-date and is always happy to hear from members with comments, suggestions or new content for our site. He describes himself as "completely hooked on Newfoundlands" and has two black newfie girls. With his wife, Alison, he does water work and shows their newfies. Paul is a Water Test judge and a 'B List' breed specialist judge.